Yeah, that’d be totally fine. Syntheroid seems like a decent “introductory” natural testosterone booster. 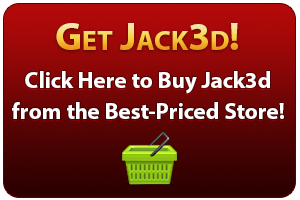 Since it has no stimulants, it’s fine to mix with a pre workout like Jack3d. That said, I must say that this product is weak and underdosed, and WAY overpriced for what you get. Do the ingredients work and help hormonal levels? Yeah, mostly. But at $60 for a month’s supply?! You’ve got to be kidding! I’d seriously look at the competition. USPLabs has TEST Powder, which is far stronger — but I don’t want to sound like a shill – the DAA (D-Aspartic Acid) that’s in TEST Powder is where it’s at. You can even just get DAA alone (very cheap and effective – 3-4g/day, one month on, one month off), but the supporting cast in TEST Powder is well worth the extra few bucks. And still much cheaper than Syntheroid. Check out the research on it at the links above and save yourself $20. Anyway, Jack3d and any quality natural test booster (preferably with DAA) will be a ferocious stack.